Love comes with its share of problems. 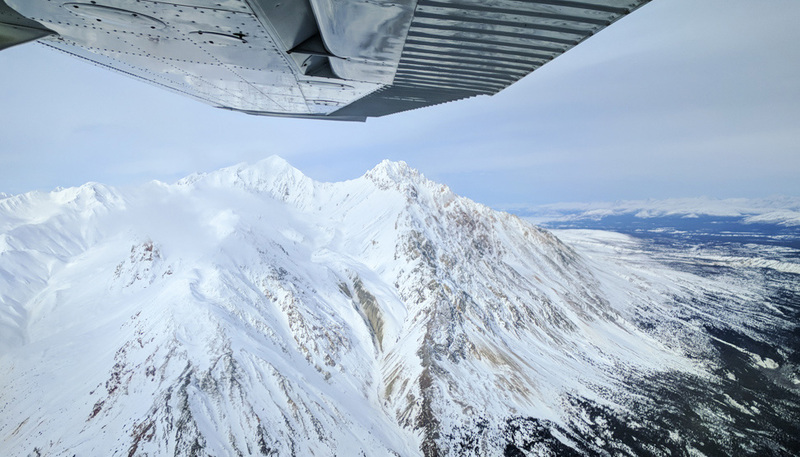 It’s a human weakness, that of unjust comparison, and as much as I try not to consciously let it guide my feelings when exploring, it still happens. I’m not perfect. 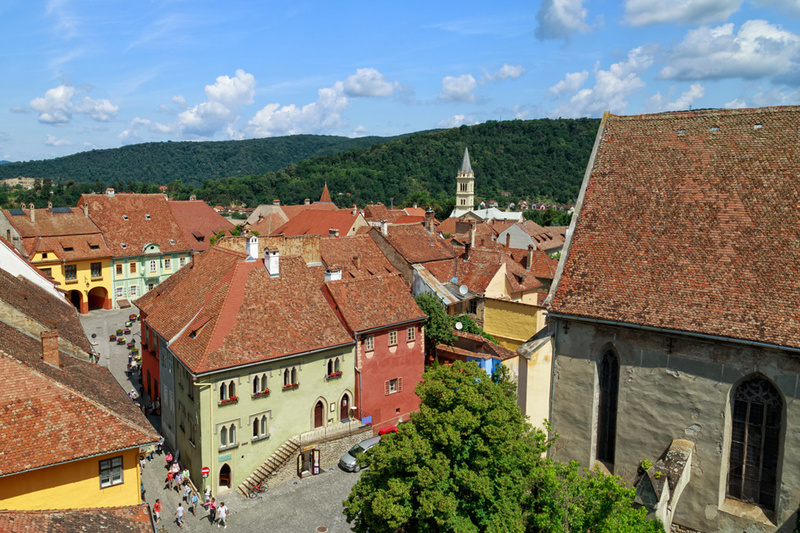 And I wonder, on reflection now, if my love and adoration of Brasov is what caused me to feel completely indifferent about our time in Sighisoara. 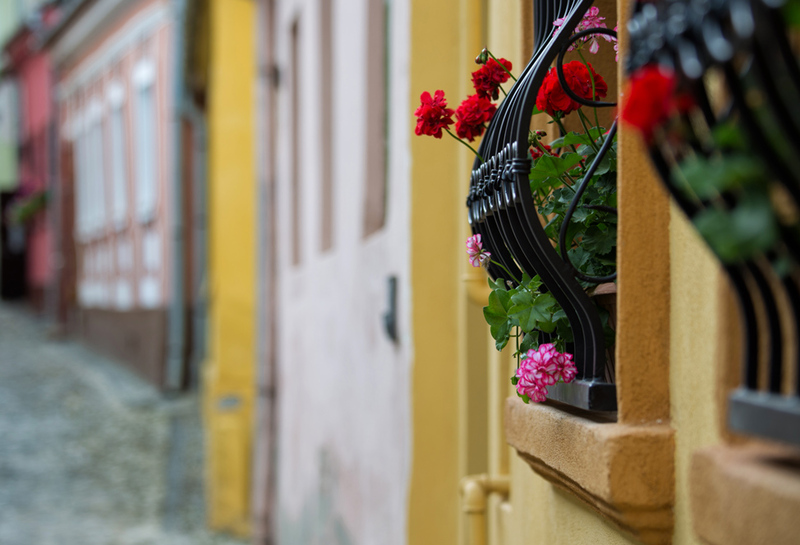 It’s really incredibly pretty with colorful streets, uneven cobblestones to playfully manoeuver, a walled historic center, lofty towers and thousands of years of history. My judgment was perhaps clouded by other loves, or maybe we spent too much time there and got a little bored.This, I realize now, is probably a classic case of it’s-not-you-it’s-me. 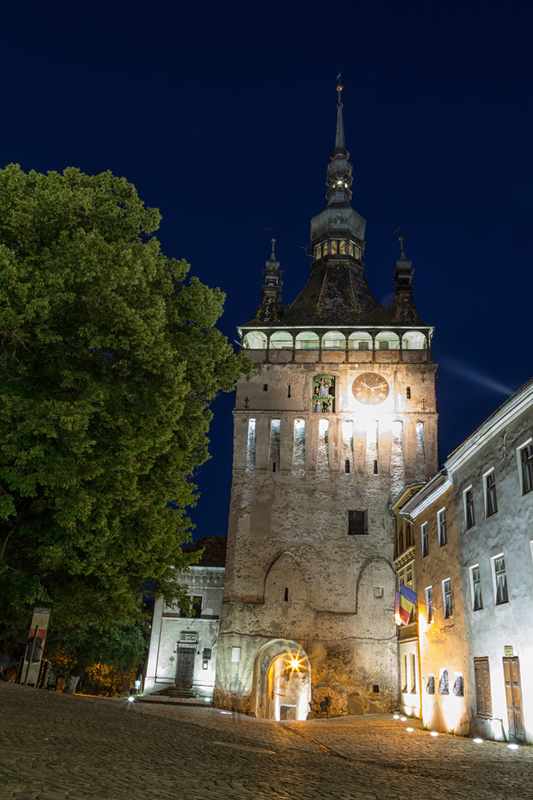 We loved our stay at Pensiune Citadela Sighisoara, with a view of the famed clock tower out our window. Although I recommend anyone else staying there to ask for a room that is not on the top floor, as the slanted roof really cut down the space in the room. Also, we stayed for four nights, and as mentioned above, got a little bored. It is a tiny city, two nights there would have been plenty. I think that is what happened to me with New York but it was mainly overshadowed by expectations of what it would be like. It is somewhere I definitely want to return to, to see how I feel about it the second time around. Katie @ The World on my Necklace recently posted..Where to go to discover Australia’s hippy soul? Bellingen and Dorrigo! Yep, expectations can be tough to deal with too. That is why we rarely read about a place before we go – keep our slate clean! 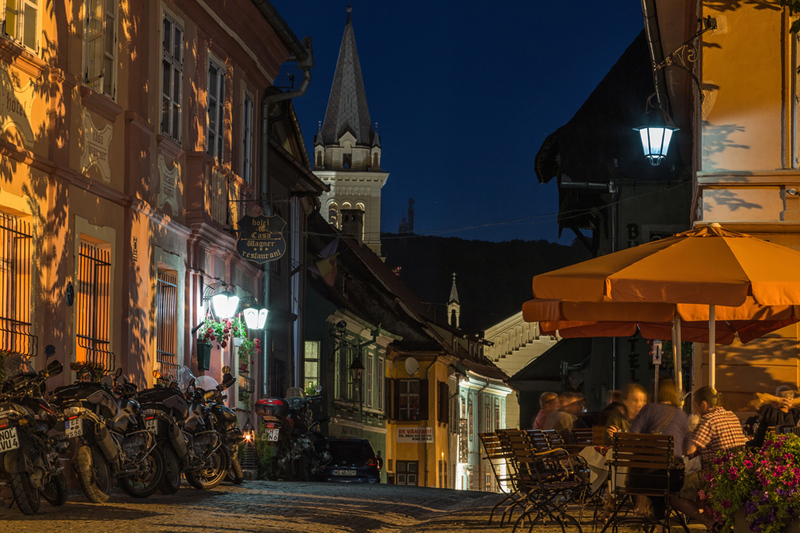 I LOVED Sighisoara. But, then again, I visited it *before* going to Brasov. So that could have made a difference! 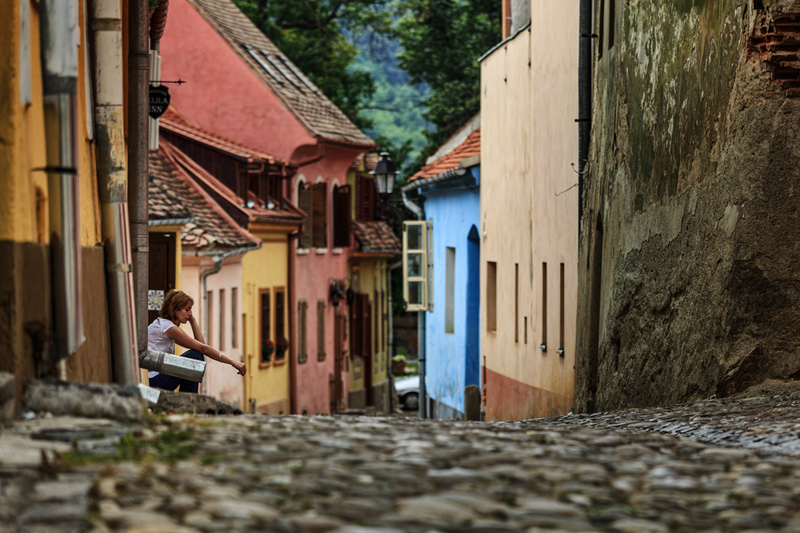 Sighisoara looks impossibly pretty! George was actually born in Romania. Janice has never visited. Maybe he should take her there to revisit his childhood home? Absolutely! A connection like that would make a visit even more special. It looks like an illustration from a children’s book! I tend to find places that look too pristine can be something of a letdown. Especially when all there really is to there is wander and admire. 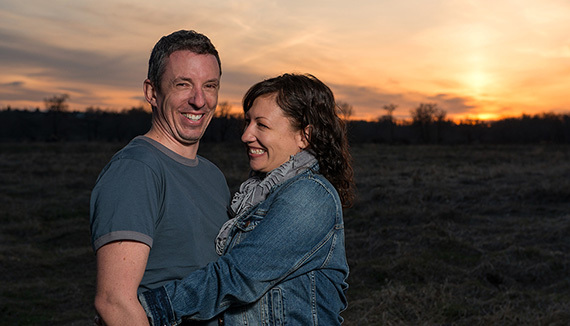 Gorgeous in photos, but they don’t really take hold in your heart like places that seem more lived in. I felt that way about Portofino, Italy. It was lovely, but it just felt too clean and perfect. It didn’t really feel like a town where people actually live. The huge number of tourists didn’t help, but other places have just as many tourists and still have that extra spark. You are bang on about the children’s book! 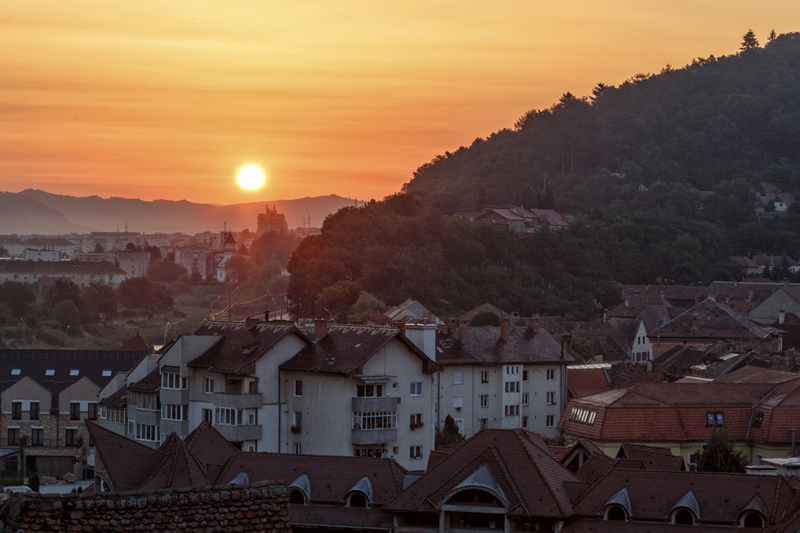 And I think you’re right – it just didn’t take hold like say, Sibiu, which we went to next and I adored. Part of it was that it was “lived in”. 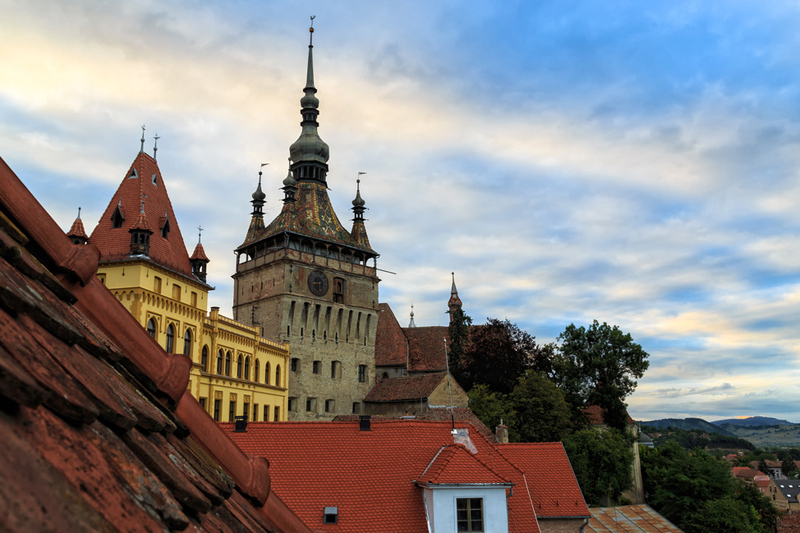 I loved Sighisoara but probably because I was there only for a day and just before visiting Brasov. It was such a cute little place but I’m afraid staying there longer wouldn’t be such a great idea as it seemed there’s not much to do. How long have you been there? We stayed four days. The historic center is so tiny, we did all the exploring we wanted to do in just one afternoon! Too pretty? Maybe. 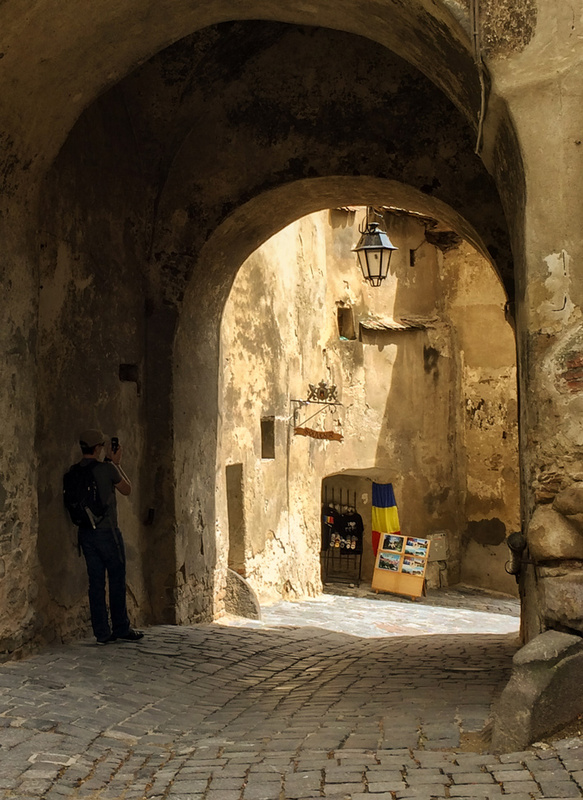 By the time we got there, we’d seen so much and been packed in an old Dacia for days together, so we took our day in Sighisoara to all explore on our own. Lovely place to get lost for a few hours! Gorgeous photos!! You’ve found some lovely places in Romania! Thanks for sharing! Beautiful! This is one place I missed out on when I was in Romania…. Looks like a beautiful town! 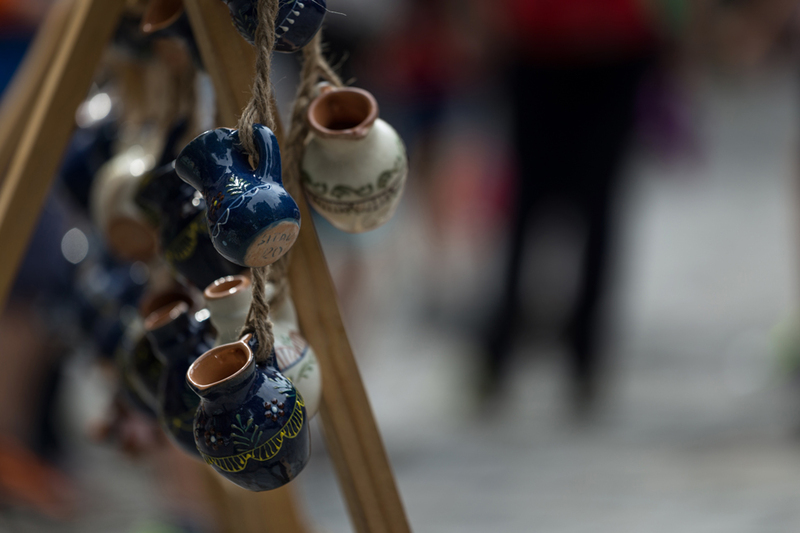 I haven’t heard of it before, but must add it to my list for my Eastern Europe trip next year! Thanks for sharing!